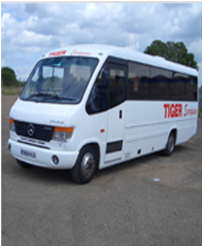 Tiger European is a Minibus, Coach and Prestige Car hire family run business with over 30 years experience in the industry. 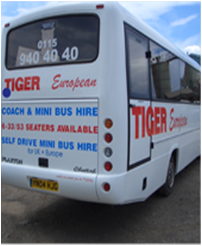 Starting with only one minibus in 1975, we now have a fleet of 16 vehicles including minibuses, coaches and cars. 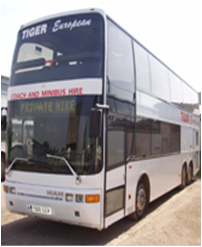 Situated on the Colwick Industrial Estate in Nottingham, we accommodate local and national tours and airport transfers. Something new to Tiger European is Prestige car Hire and we are pleased to announce our first vehicles has joined us, the Mercedes S Class 500.This vehicle is available for self drive hire and chauffeur driven.Our S class Mercedes is ideal if you want to arrive in style, it has presence and is the perfect car for weddings, corporate clients or executive airport transfers. 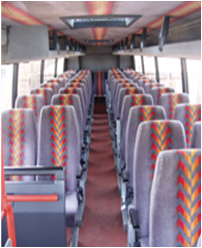 Coaches range from 21 seater up to our luxury 68 seater double decker coach. Coaches available for all occasions. 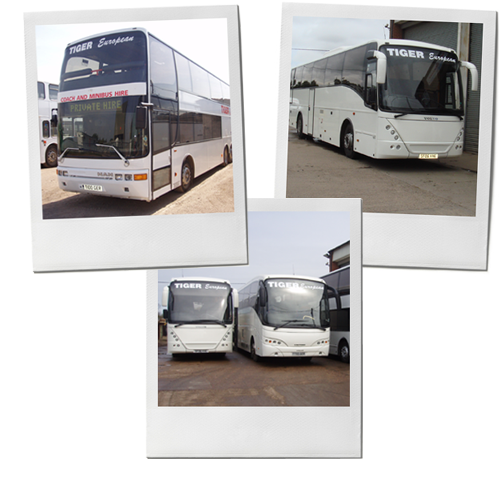 Whether it be weddings, funerals or a day at the races; our coaches are ideal to cater for all. 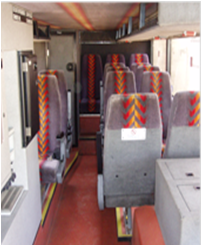 Coaches available with Toilet, A/C, Reclining seats, DVD Players, PA Systems, Fridge, Hot drinks machine and Head Rests. 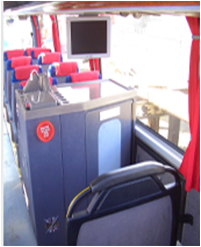 As coaches carry a large amount of passengers safety is a major priority and with our rigorous maintenance all our vehicles are maintained to a very high standard. 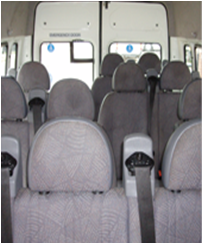 Minibuses range from 8 seaters up to 17 seaters. 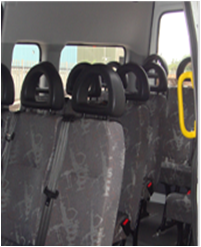 All minibuses are available for self drive or with a driver for hire in the U.K and Europe. 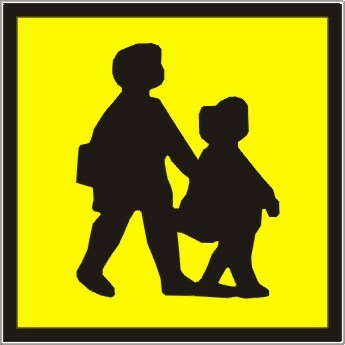 We have Minibuses for all occasions, whether it be a short trip into town, airport transfer or a long distance journey. 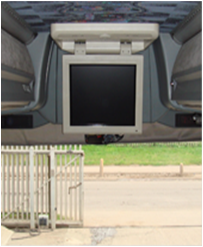 All of the vehicles are fitted with three point belt systems rather than plain lap belts. 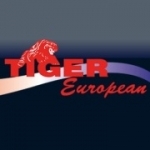 Something new to Tiger European is Prestige car Hire and we are pleased to announce our first vehicles has joined us, the Mercedes S Class 500. This vehicle is available for self drive hire and chauffer driven. Our S class Mercedes is ideal if you want to arrive in style, it has presence and is the perfect car for weddings, corporate clients or executive airport transfers.